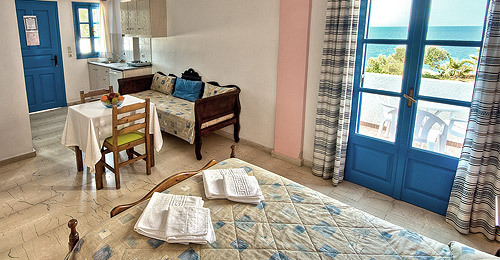 Rooms availableBesides the rooms accomodation we offer outdoor pool, balconies and gardens. 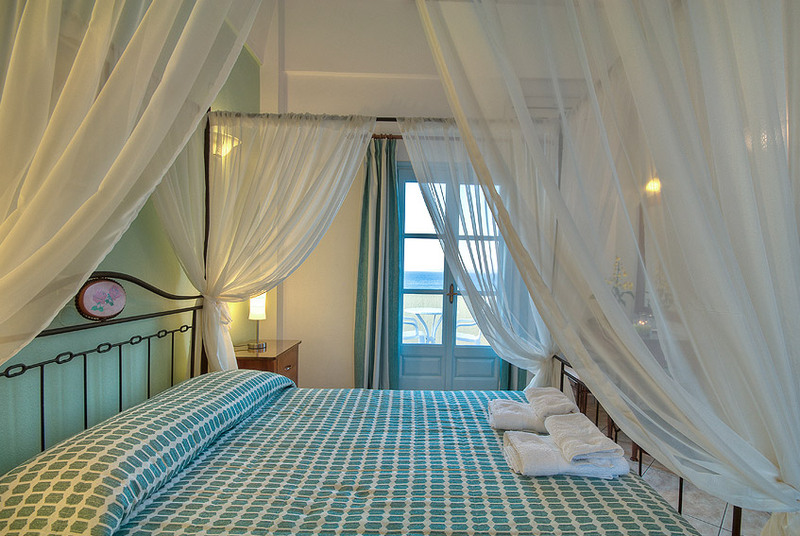 Tastefully decorated, this room offers air conditioning and a private balcony with sea view. 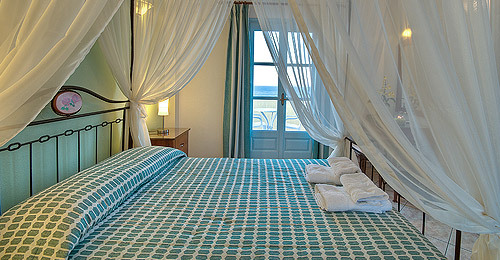 Room Facilities: Balcony, Sea View, TV, Telephone, Air Conditioning, Heating, Shower, Toilet, Refrigerator in 20 m² of room size. 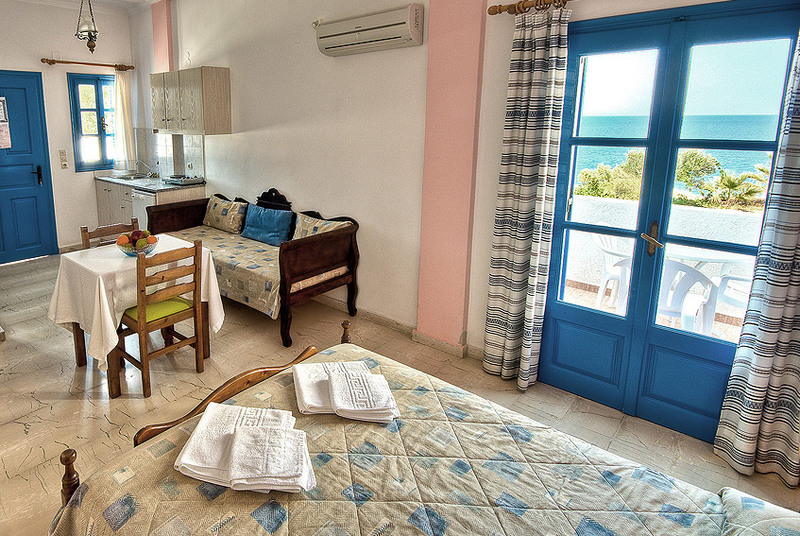 Room Facilities: Balcony, Sea View, TV, Telephone, Air Conditioning, Heating, Shower, Toilet, Refrigerator in 23 m² of room size. Superior double rooms, besides the rest of the services, offer great view to the Aegean sea to let you enjoy relaxation as best as possible. Find details of the season and the rates below. SPECIAL OFFERS & INTERNET DISCOUNTS:	Contact us for special prices that might be valid during this period!!! Don`t like internet forms? Give us a call and let us help you to book the perfect room for you in our Hotel. It will be a pleasure to hear your voice and get to know you even from distance. It could be relaxing after a long day at the beach or a long night with cocktails and "vacation" taverna dinners. Access the web from anywhere around our facilities. Besides the default access from the rooms we offer you a strong signal to access from the pool and the yard using your smart devices. Keep your objects safe using your access keys to your personal safe box. © 2013 Artemis Village. All Rights Reserved.